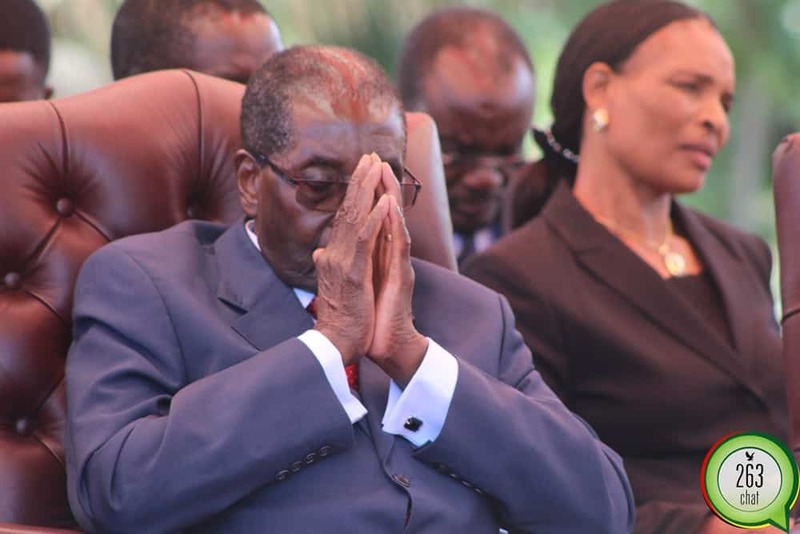 War veterans have been caught offside once again after ruling Zanu PF members opposed their move to punish former President Robert Mugabe. The former liberation war fighters have threatened to march to the Robert Gabriel Mugabe International Airport to force the removal of his name for betraying the values of the ruling Zanu PF after he openly backed MDC Alliance leader Nelson Chamisa on the eve of the July 30 harmonized elections. Speaking on the sidelines of the 9th session of parliament swearing in ceremony yesterday, Member of Parliament for Mberengwa West constituency, Joram Gumbo said the resolution to name the Harare International Airport after Robert Mugabe was a Zanu PF party resolution passed way back in 2004. “It was a resolution that was passed by Zanu PF at its congress in Victoria Falls in 2004 so all my ministry has done is to implement what the government through its party did propose and they proposed that the airport be changed to Robert Gabriel Mugabe. “Would you imagine if you were to remove that name of Robert Gabriel Mugabe from the airport, then you will have to go all about in all cities and towns and to remove all that is bearing his name, is that what Zimbabweans would want?” queried Dr Gumbo. War veteran and Legislator for Murehwa North constituency, Daniel Garwe also called on his fellow colleagues in the war veterans’ ministry to forgive former President Mugabe. “We must forgive him, the bible says forgive and you shall be also forgiven. So let’s forgive our old man he is our old man. But the people who were surrounding him in his last days must face the consequences of their action,” he said. Unconfirmed reports indicate that relations between Mnangagwa and Mugabe could be normalizing. This follows Mugabe’s congratulatory letter to Mnangagwa which was read out at the inauguration ceremony as well as the government intervention to charter a flight for the former first lady Grace Mugabe to return to Zimbabwe from Singapore following her mother’s death;Idah Marufu last week.